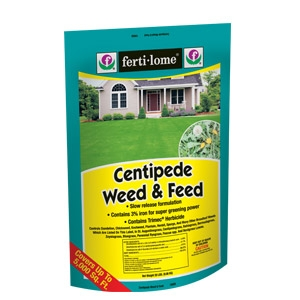 Controls Dollar Weed, Wild Onion, Dandelions, Chickweed, Knotweed, Henbit, Spurge and over 200 other broadleaf weeds. Special formulation contains Trimec. Provides slow release Nitrogen, high Iron content and post-emergent broadleaf weed control. Coverage: 5,000 sq. ft. 20 lbs.